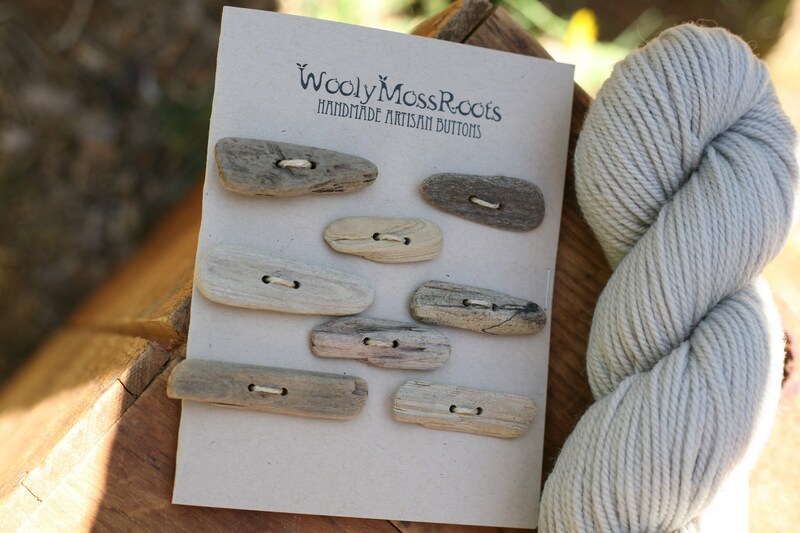 My husband is the woodworker around here and I like to joke that these driftwood buttons are the extent of my woodworking skills. :) Though I joke, I'm pretty darn excited about these! 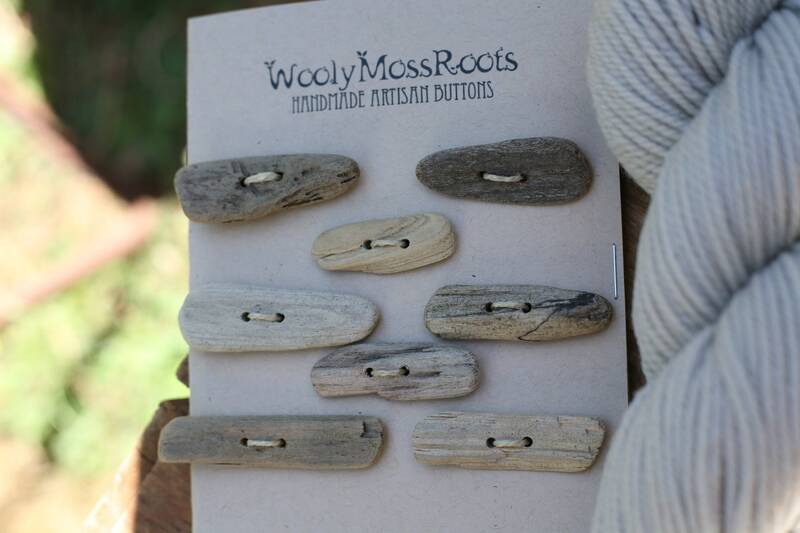 (It all started when our son found a piece of driftwood that looked like it was absolutely meant to be a toggle button. I set it aside to turn into one, and that sparked the idea.) 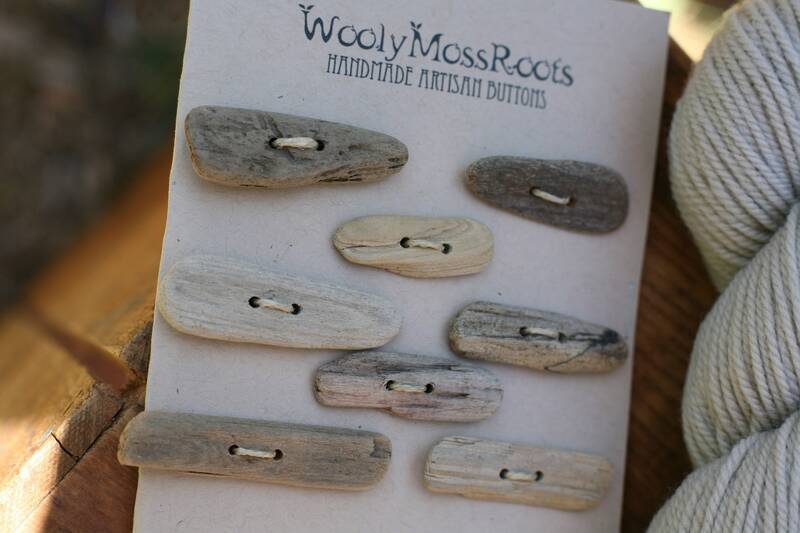 I made these toggle buttons with driftwood I gathered along the Oregon Coast. I love them! And I think they are such a fun and whimsical addition to projects. I like looking at each unique piece of driftwood- the different colors, markings, and textures- and feeling the smooth wood in my hands. I wonder where the wood came from, where it's been, and what it's story is. 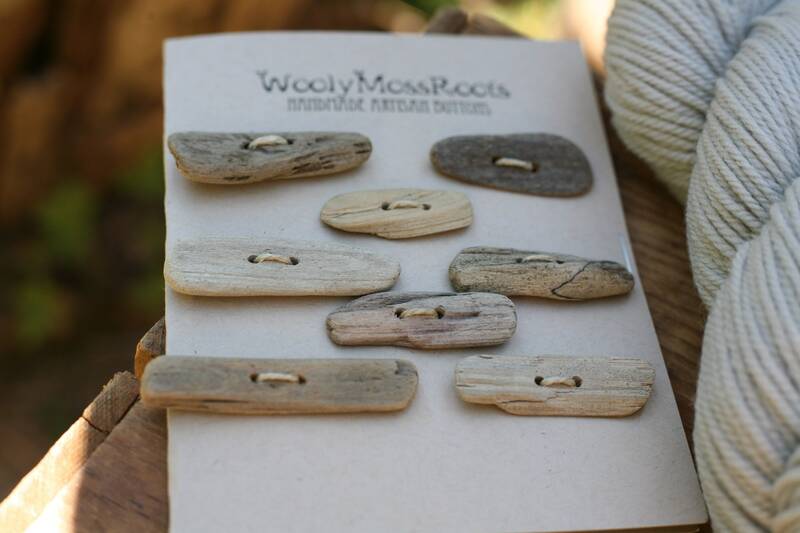 These driftwood toggles have been bleached by the sun, infused with salt water, and tumbled by the sea. I love their natural beauty, and hope you will too! Measurements: In this fun, eclectic mix, each one varies, ranging from under 1.5 inches wide to under 2.25 inches wide. P.S. 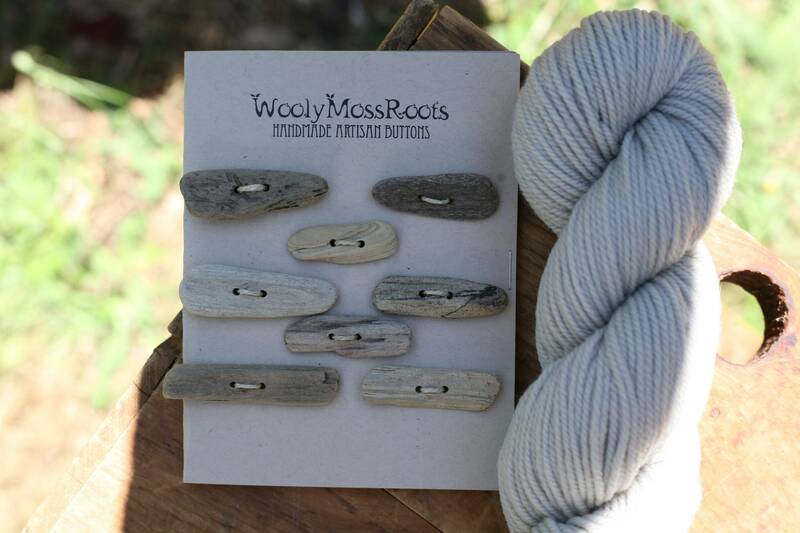 Pictured with grey yarn, these toggles would pair nicely with many different colors! P.P.S. I so enjoy walking along the beach with my family, and when you purchase these buttons you give me a great excuse to go more often, so thank you!